Architect & Interiors India is a sister concern of Architect Middle East, the market leader in its region. Published by the ITP Publishing Group, this magazine presents the architecture and interiors industry with a kaleidoscope of information related to design, technology, personalities and achievers, events and architectural heritage. Breaking away from the monotonous trade tabloids that exist today, our aim is to update readers with exclusive news and analysis on relevant aspects of this industry and strategic insights for architects and interior designers operating in India. The title also publishes news and features on flagship projects around the world; advances in materials and design software; news about suppliers and distributors of international materials available in India and discussions on topical issues affecting the industry. In a factual yet stylish manner, the magazine delivers the latest updates on business issues, alongside leading design trends from around the country and the globe. The publication is designed to enhance its readers' industry knowledge and provide them with information to help create inspirational designs that make a lasting impact. 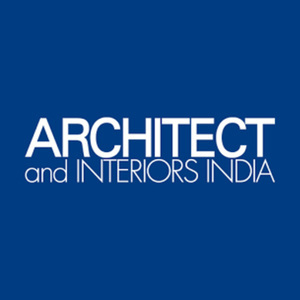 Architect & Interiors India is circulated to a select readership of architects, interior designers and specifiers across India, making it an indispensable title for the industry. The magazine has a readership of 210,000 across print, online and mobile editions.